When the Congress of the United States authorized the North American Electric Reliability Corporation (NERC) to be the regulatory authority over the U.S. bulk power system which includes the electric transmission grids, they not only transferred governing authority to an international organization, they compromised the security of the United States by doing so. If it wasn’t clear before, I’ll just restate, the objective is realignment of the governing authority with national governments devolving authority through privatization and authorizing “self-governance” along functional lines. Self-governance does not apply to the individual citizen as we were taught to believe. 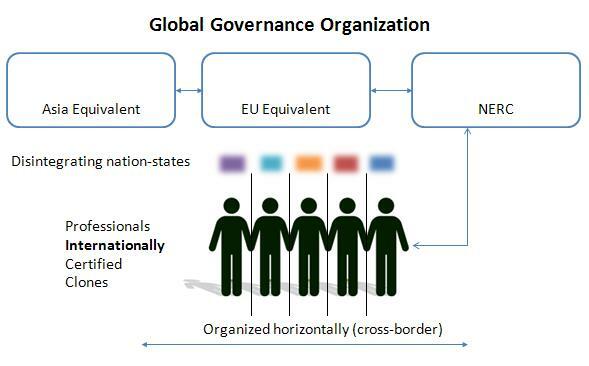 It applies to lines of business and “stakeholders” as in the London Guild system. Using the utility company business model as an example, consider the following diagrams. 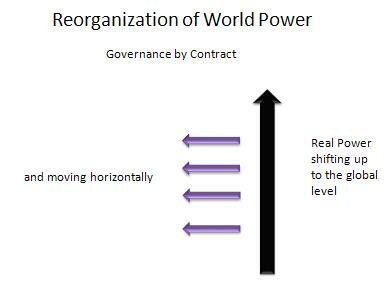 The first diagram represents the traditional model for the utility business. 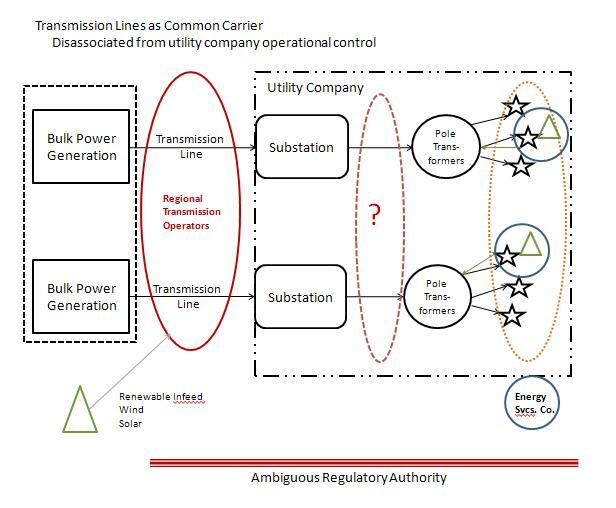 It should be noted that transmission lines of utility companies did hook into the lines of other utilities and there was buying and selling of bulk power between companies but for this purpose, the diagram represents the essential business model which was inclusive from power generation to delivery at the end-use service address. The next diagram is an attempt to show the functional realignment of the electric utilities. A key point to focus on is the idea of the transmission lines as “common carriers”. 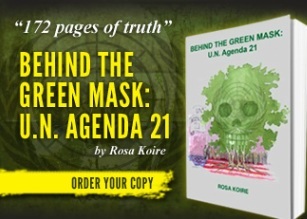 One of the first things they did was to place electric utilities and the generation of electricity into the generic category of Energy which is a kind of semantical regionalism to dislodge traditional regulatory thinking and to provide space for perceptive deception. 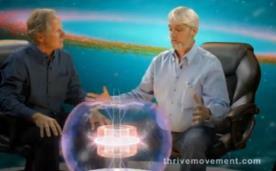 This is a conversion in progress – functional realignment. The Regional Transmission Operators (RTO) do not own the transmission lines – they just operate them and they are regulated by the privatized, international regulatory corporation – NERC. The objective of the conversion of the transmission lines to “common carrier” was to allow the third party infeeds of electricity from renewable energy sources. A requirement for that system was net metering: meters that register input of electricity from the electricity supply system and output of electricity to the electricity supply system and provide a net total – plus or minus. 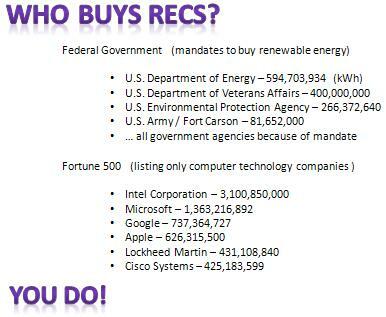 The U.S. regulatory organization is the Federal Energy Regulatory Commission. It’s an independent agency with appointed commissioners. Their decisions, like the state public utilities commissioners are reviewable only by a court. 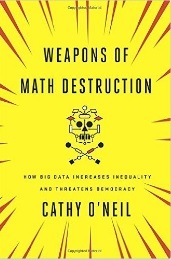 They have their own Administrative Law Judges so they make the rules and they adjudicate the rules – just like the IRS. Also recall that in Part 8 of this series where the London Livery Companies are described, they are also organized in a court structure. 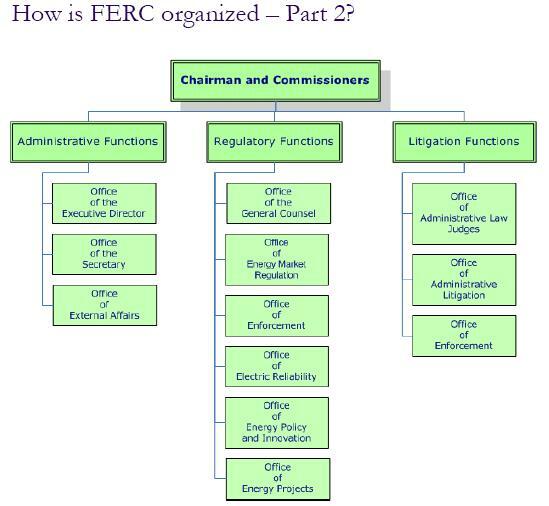 In the diagram below of the FERC organizational structure, you’ll see the Office of Electric Reliability and the Office of Energy Policy Innovation. 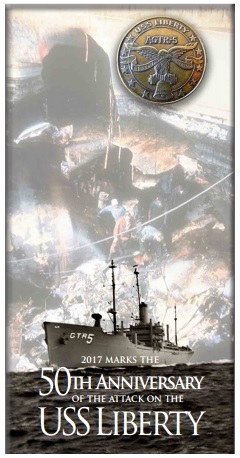 The function that these two organizations perform is duplicative of the functions of NERC. 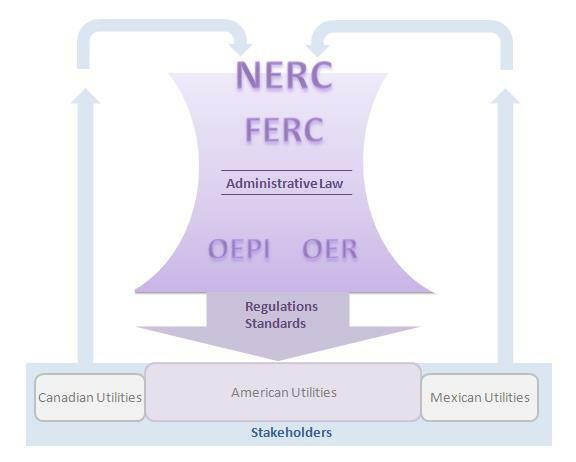 Now look at a logical diagram of NERC, FERC and the utilities (stakeholders). 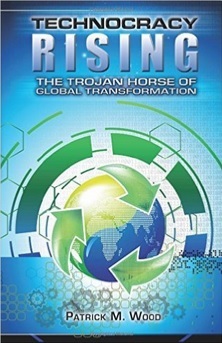 It is an organizational torus (see Part 6). It is an organizational structure that serves itself at the expense of the people it was supposed to protect and serve – which are the electric utility customers and our economy. And it is almost magik in terms of making money for the privileged class that it serves – which are the regulators and the stakeholders. Most of the participants are locked into a loop of thinking. But, if one should break out and become a whistleblower, then they are not only shooting themselves in the foot, they are making enemies with all the other beneficiaries of the system. 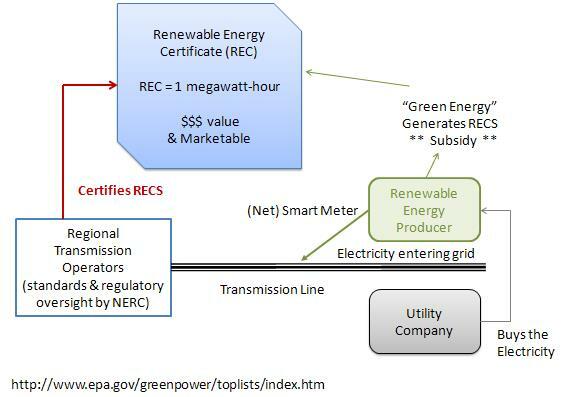 As I said up above in the diagram of the new utility business model, what they’ve created is ambiguity in the regulatory structure by establishing the independent regional transmission operators – supposedly neutral, for the purpose of allowing third-party use of the transmission grid for input of electricity generated by renewable power. The regional transmission operators are part of the bulk power system under the authority of NERC. The standard for the transmission grid is net metering to accommodate renewable energy generators: wind and solar farms. The following diagram is the system of subsidy for the so-called renewable energy producers. The Environmental Protection Agency which I’m sure, has a similar Torus structure is closing down coal-fired power plants based on their regulatory authority over air quality. They are creating the shortage of electricity which will provide the racketeering power of extortion pricing to the utility sector. The Renewable Energy Certificate subsidy scam is a cover of sorts until the entire country is under the control of the smart grid and NERC. The Smart Meter is the gateway to the home for the Smart Grid and the Regional Transmission Operators (RTOs). 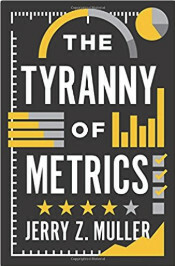 The objective – which is well documented, is “demand management”. Through the Smart Meter and Smart Grid capabilities – plus the appliance standards passed by the Congress in the Energy Independence and Security Act of 2007, the RTOs will have the capability for the Regional Transmission Operators to “shave the peak” – meaning to shut down your access to electricity entirely – or to selectively shut down your appliances including heating and cooling equipment. The North American Electric Reliability Corporation as an international self-governing organization with authority over our electric utility system is an example of the global power shift – real power because electricity is essential. 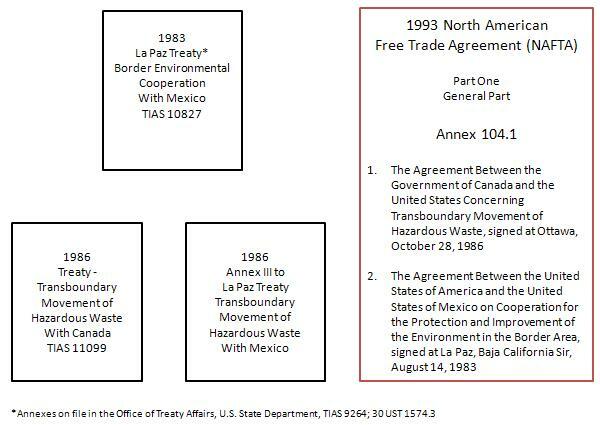 The authority for the establishment of NERC derives from two international treaties that were written to be frameworks that could be added to by the legislative action of congress and over time, by the agencies of government themselves under the authority of the State Department.